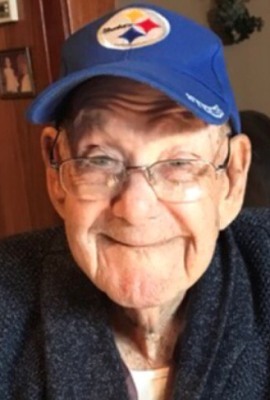 Frank Chapman, 95, of Fremont, OH passed away Saturday, September 23, 2017 at Pristine Senior Living in Fremont. He was born on January 1, 1922 in Louisa, KY to Robert and Jessie Olive (Fitzpatrick) Chapman. Frank married Helen Kroeger on December 24, 1941 and she preceded him in death in February 2001. He married Mae Louise Ruttschaw on January 1, 2002 at the Church of the Nazarene in Fremont and she survives. Frank was a forklift operator at the Ford plant in Sandusky for twenty-six years and retired in July 1984. He was a member of the Church of the Nazarene and enjoyed nature, bird watching and his grandchildren. He was an avid car enthusiast. 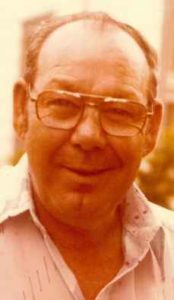 Frank is survived by his wife of fifteen years, Mae Louise Chapman, Fremont, OH; daughter, Robin (Geoffrey) Kryder, Indianapolis, IN; eight grandchildren and fourteen great grandchildren. He was preceded in death by his parents; first wife, Helen Chapman; children, Glen Michael Chapman, Ronald Ray Chapman, Jackie Lynn Chapman and Patricia Lunsford; four brothers and eight sisters. Visitation: Wednesday from 4 – 7 pm at Wonderly Horvath Hanes Funeral Home and Crematory, 425 E. State St, Fremont, OH. Service: Thursday, September 28, 2017, 1:30 pm at the funeral home with Pastor Dan Vickey officiating. Love you Robin. Really wish we could be with you now. You and family in our prayers. Mom and I are sad to know that Uncle Frank passed away. We know that he is in the presence of Jesus and many loved ones. He will be missed but God promises that we will meet again for those who have put their trust in Jesus. May the Holy Spirit comfort you. Sorry that we will not be able to attend the funeral. Nice video. I noticed your Dad worked at Ford Motor Co. My Dad did too for 30 years. I think he retired in 1986. I wonder if they knew each other? I’m going to ask my Dad. Did your Dad always buy Ford’s too? My Dad did. So sorry for your Dad’s passing. I’m sure he was very special to you. You and your family are in my thoughts and prayers.